Hayfever, although common, can be an incredibly debilitating condition to suffer from. Itchy, watery eyes, sore throat, headaches, lethargy, sneezing fits, broken sleep and blocked nose are just a few of the symptoms. Most antihistamine prescribed medications come with the side effect of incredible lethargy. So much so, some medication warns against driving or operating heavy machinery. It causes challenges for children at school too who have to sit exams during the hayfever season and cannot focus or concentrate properly. 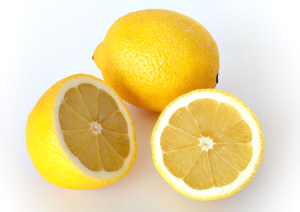 Fortunately, there are lots of natural remedies to help treat the symptoms. It’s a case of trying something for a few days to see if it makes a difference. Hayfever is difficult to treat with a ‘one treatment suits all’ approach because people’s sensitivities and symptoms are unique. Here are my top eight tips. I’ve realised that this has turned into a very long post; so I’ll put up 4 today and another 4 tomorrow. My number one line of defence for any illness / condition is diet. Remove mucous forming foods from the diet – notably dairy (butter, cheese, milk) and fried foods. Replace with olive oil spread, and soya, rice or nut milks. Yogurt is usually well tolerated, because it is already digested by the bacteria in it. Make sure the gut is balanced – cut out excessive sugars and yeasts (bread, alcohol, marmite etc) from the diet and take a good quality probiotic supplement to recolonise the bowel. Drink a couple of litres of water a day, especially if your nose runs a lot to replace lost fluids and keep toxins flushed through. Fresh garlic is anticatarrhal and vitamin C acts as a natural antihistamine, so it’s worth taking a supplement – you can’t overdose on it, the body gets rid of what it doesn’t need, so take as much as you like…………. Invest in an air filter. The one I have is the AirFree P80. (click on the picture to buy!) 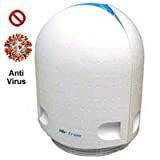 It destroys moulds and pollens and purifies the air. I’m in my first year of using it and so far have noticed some great improvements in my symptoms. I’ve had 2 days of minor runny nose and itchy eyes and, as you’ll know if you’ve read recent posts, I’ve spent a couple of days this week in the garden, weeding. Usually that is enough to trigger me off. Keep windows closed during the day if the pollen count is high. This is not always practical, but is worth doing on really high count days. Take a shower before bed. Pollen will cling to your hair, clothes and skin and can really start to trigger things off when you get into bed. You don’t have to wash your hair, but do rinse it well. There is nothing like bedding that has been dried outdoors on a sunny, windy day. However, this is a sure fire way to bring a load of pollen into your home and your bed. Throw your bedding over the banister to dry or use an airer instead during the summer months. Wash pillow cases frequently to reduce the amount of pollen collected on them. A little vaseline, sesame oil or even lip balm spread just inside the nostrils and under your nose can help ‘trap’ pollen before it enters your nose. This cuts down the amount of irritation. Haymax make a product specifically designed for this and report great success for suffers with no side effects. Although I feel sunglasses are not all good for other reasons, which I won’t go into here, they can be useful when outside on a high pollen count day. Keeping pollen away from the eyes is important if itchy, watery eyes is one of your symptoms.